Step 1: First log into the VISION System. 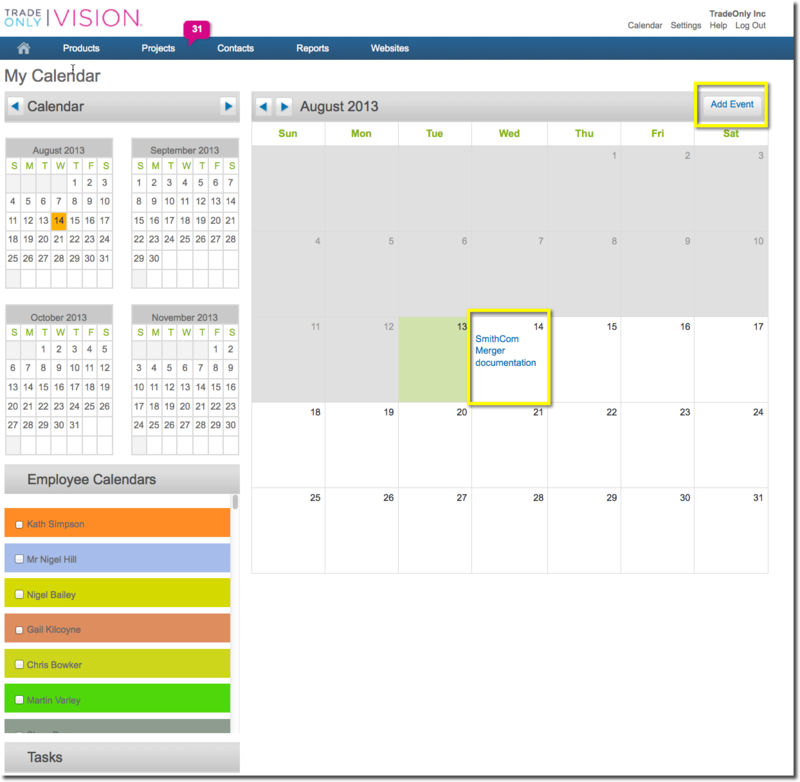 Step 3: The Calendar will open at the present month and you will see all of your calendar entries. Depending on your administrative access, you may or may not be able to see tasks of other employees (refer to settings for more information). To add a new entry click on "New Event". Step 4: You can then fill in the event details. 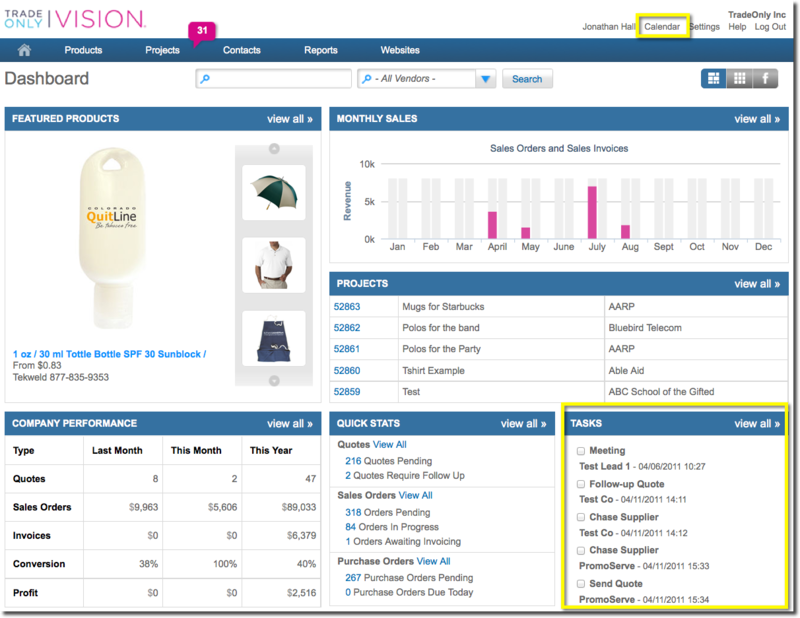 You can also add an event for a specific customer, lead or supplier by clicking the relevant box and using the magnifying glass to search for them as shown below. 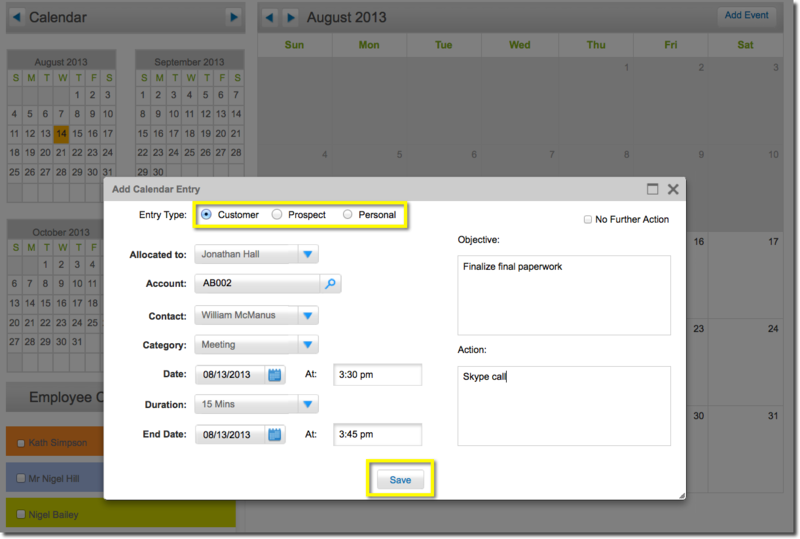 Use the drop downs to select contact person and the category of Calendar entry. Fill in the date and time informations as well as any objectives.